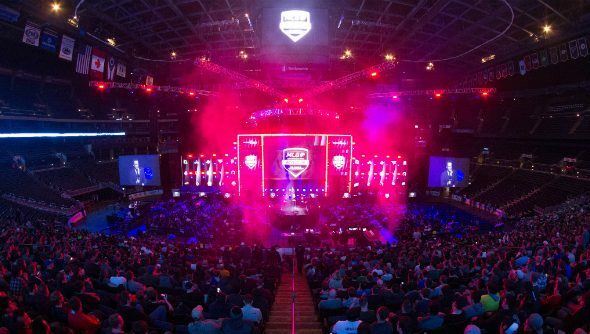 One week from the thrilling conclusion of MLG Columbus, Valve have set the next million-dollar milestone for Counter-Strike: Global Offensive players at ESL One Cologne. Need a good shooter to keep you going ’til July? Here’s the best FPS games on PC. The second Valve Major of the year will take place at the LanXess arena in cologne from July 5 to 10, as Brazilian team Luminosity Gaming look to defend their victory at Columbus. Valve has continued the promise to raise prize money for all officially sponsored events throughout this year to $1m from the $500,000 each had going from last year. The other seven top teams from last week’s showdown in Ohio will receive direct invites to the tournament, with eight further spots to be decided this June through a set of qualifiers between the champions of the upcoming Regional Minors, and the remaining eight from MLG Columbus. If you fancy seeing some top draw shootmans, tickets are up for grabs already beginning at €41 up to a ridiculous €2,999 for a lounge which, to be fair, comes with a bar and all that good stuff that goes hand in hand with high octane eSports action.